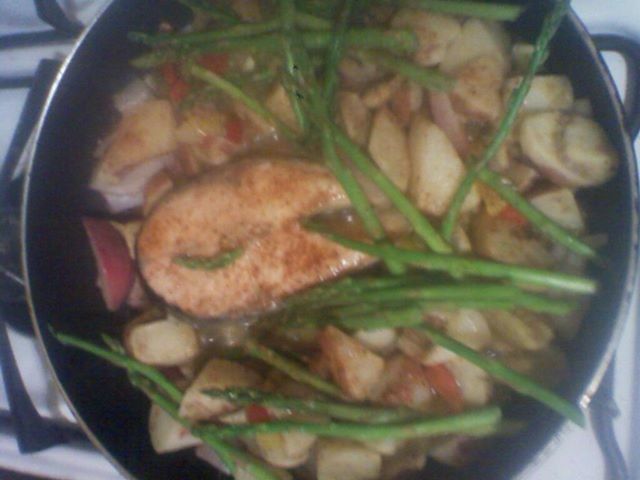 Salmon Steak smothered in Red Onions, Garlic, Red Potatoes and Asparagus. 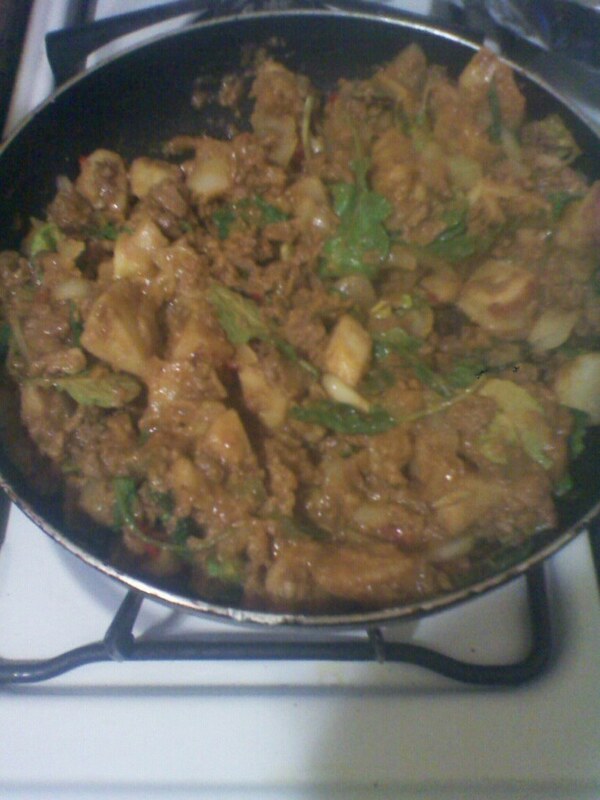 With a splash of Garlic-Orange Marinade , Rohan Josh Curry. Handle mine on that Jack Tripper. Give Thanks.